Now create amazing photo by mixing two images together by using Photo Blender. Blend image on another image to make a new design . 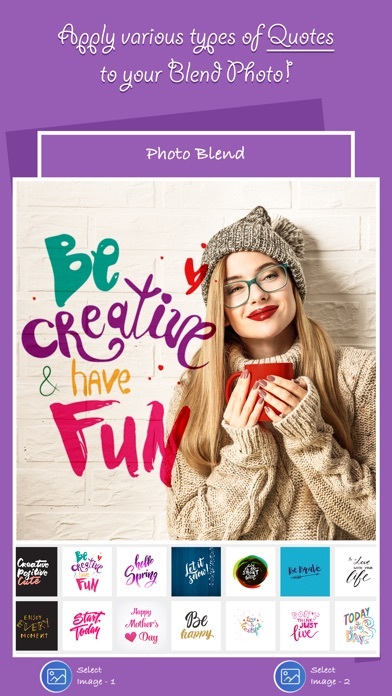 You can add Quotes , Overlays and Backgrounds to the desired Images of yours. The cool new photo editor also allows you to blend two images together to create a double exposure effect. Add any image to our many cool frames including traditional square frames, and more modern figures. Check them out. 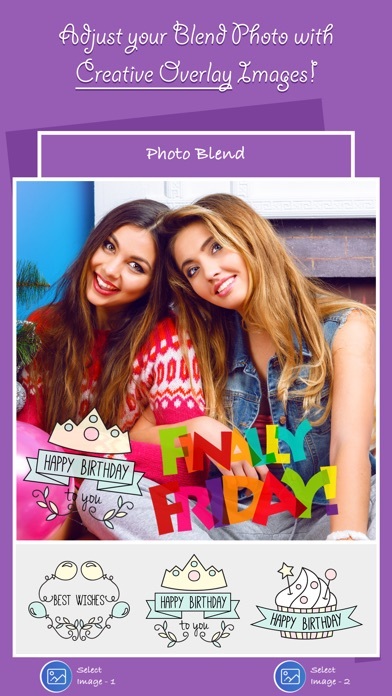 Photo Blender contains lot of background images which can make your photo more beautiful. You can also Adjust Fade and blend your photo to create an amazing output with the background images You can also add multiple stickers to the images.You can delete the Stickers of your choice accordingly after adding them by a simple tap. Features: ● Unique designed backgrounds. ● Fading adjust. ● Flip option for setting image properly. ● Allows image from gallery and camera to set as background. 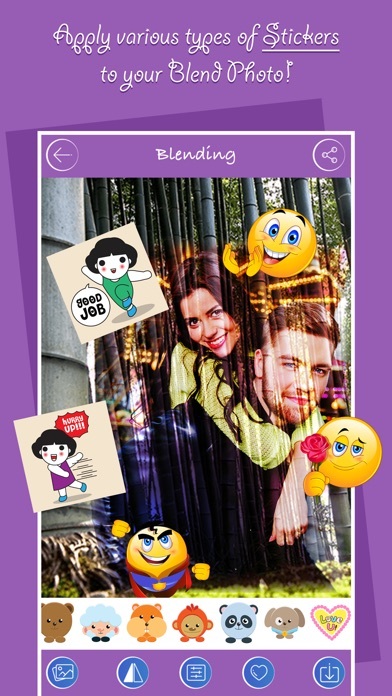 ● Allows to add Multiple Stickers to the Picture. ● Pinch,Zoom in and Zoom Out the images and Stickers. ● Single tap functionality to delete the added stickers. ● Save High quality output Images. How to use: ● Select first image from gallery or capture from camera or choose from background. ● Choose Second image form overlay ,quotes (collection of amazing images) or use gallery or camera form blending. ● Edit your creation image. 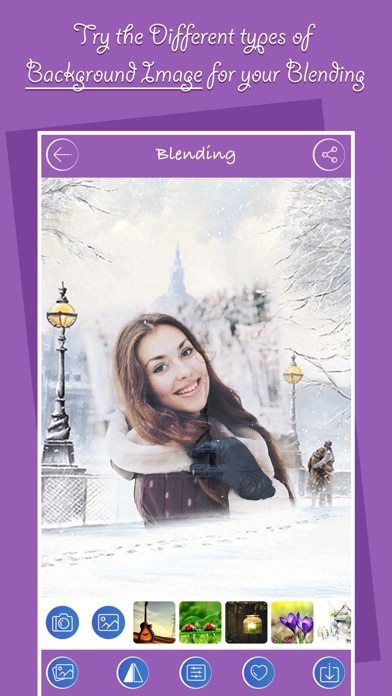 ● Use Flip option to flip image horizontally. ● Adjust fade / opacity of image to blend it properly. 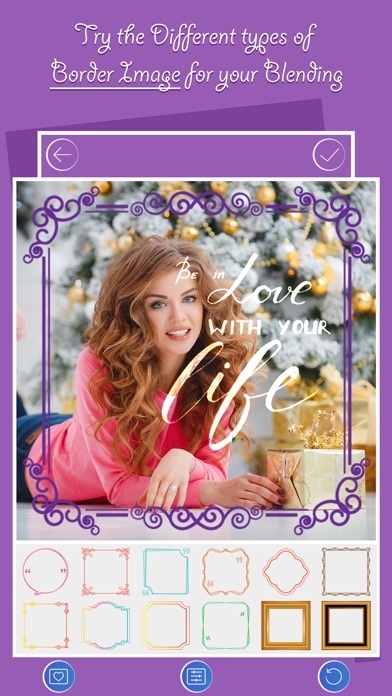 ● Add multiple stickers to your photo. ● Share your output with your friends and beloved one. Start blending the images and show your creativity.